Dreaming of Your Own Startup? You Need These 10 Things! There are many people out there who want to launch their own startups, but they just couldn't take off. Why? Well, the main reason is they don't know how to take their business from point A to B. There's no better way to build your business than by taking your idea to market ASAP. Do not delay. 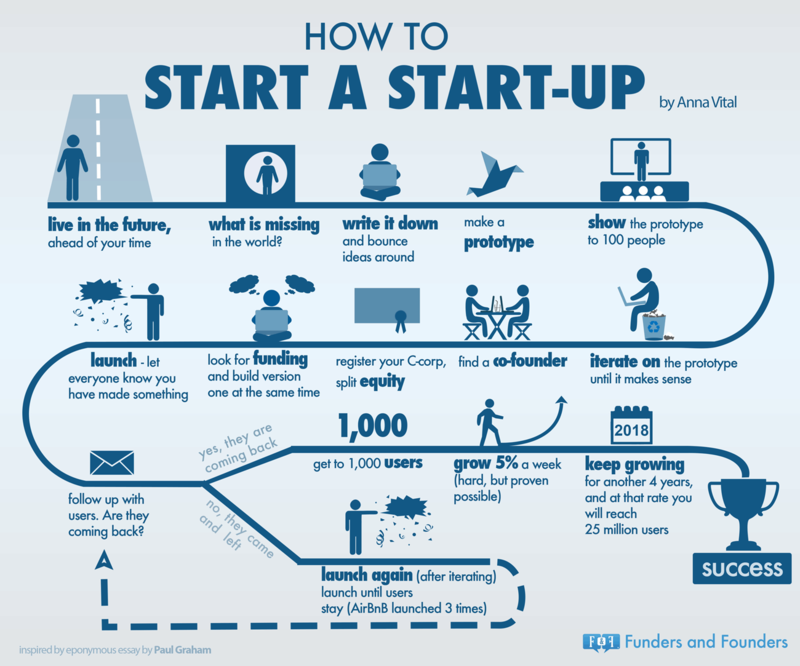 Here are ten tips on how you can launch your startup faster. 2. Sell something, sell anything! Those who know exactly what they want to sell. Those who don't know what to sell, but they want to sell something. Here's the only important part: Sell Anything. The world's greatest entrepreneurs aren't selling new stuff, they are either selling it different or better. Howard Schultz of Starbucks sold coffee and Warren Buffett bought and sold other people's stock. You don't need to be an innovator to be an entrepreneur. You can just take someone else's product and sell it. Richard Branson started Virgin Airlines because his flight was cancelled. So, he hired a plane for $2,000, wrote “Virgin Airlines, $39 one way to BVI (British Virgin islands)” on a blackboard, and quickly filled the plane with the fellow travellers who had been bumped. When you start a business, you will most definitely not have all the answers. When a problem emerges, and you don’t have the answer, find someone who does. When this expert gives you advice (business best practice, manufacturing locations, logo design, accounting), ask them to do it. Your business needs more help, knowledge and professional skills than you have time for. Get people to work for you. Of course, be prepared to compensate them for their services. Starting a business takes more than just hard work and passion. It takes the inspiration and skills of a co-founder. Venture capitals are more likely to invest in a startup that has a founding team, not a founding individual. It's fine if you have three co-founders, as long you have a clear decision-making hierarchy. Cofounders can provide the skills you lack, and lead you further than you ever foresaw you would go. One of the reasons why Steve Jobs was prepared to expand Apple into one of the world’s most innovative and important brands was because he pushed people. Here’s how he defined his management method. "My job is to not be easy on people. My job is to make them better. My job is to pull things together from different parts of the company and clear the ways and get the resources for the key projects. And to take these great people we have and to push them and make them even better, coming up with more aggressive visions of how it could be." Don't necessarily worry about where an income will come from. A good product or service will always find a way to make money. This is correct. A shortsighted focus on money can pull your business off track. Whether it’s funding, capital, business loans or the perfect pricing model, back off and let things evolve. Growth doesn’t equal funding. Growth means hacking, straining, selling and doing things other than asking for money. Marketing is one of the greatest things that you can do for your business. When you market your product or service, you are getting it in front of the people who will actually buy it. Marketing is not a waste of time. It’s one of the best early investments that you can make in your business. 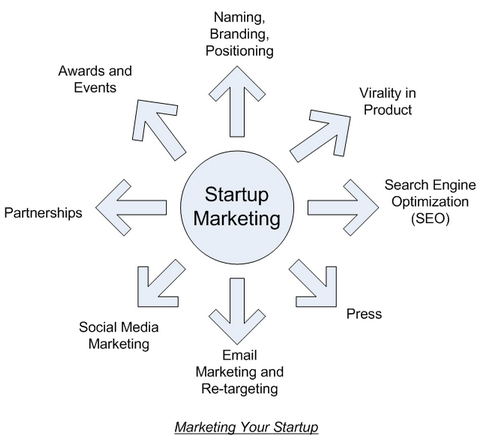 A startup does not just exist in your mind, it exists in the landscape of customers and potential customers. If there will be people buying or using your product, you need to learn all you can about these people, FROM these people and FOR these people. Your business will live or die based on their perception of your product or service. If you want to find the best and most affordable talents, you can't just post an ad on a job-seeking website and hope someone will knock on your doors providing you with the best talents and skills. You need experts who are qualified and well-versed in their field. You don't have the time to spend on looking for the right talents while starting your business, you need a hand. AJobThing can help you with that. We GUARANTEE to provide you with 20 most qualified job candidates that suit your needs. It's not easy being an employer. If you're thinking of an alternative to regular employees, you can hire on a contract basis. You need to find a way to get the talent to provide their services. You need movers and shakers, and we can help you with that. It's not easy to get started. Leverage all possible resources to focus on getting started. It is the main thing. Once you got your business up and running, anything else is possible. Having Problems Hiring? Our recruitment experts are at your service, just register at AJobThing.com to schedule your free consultation. When Is The Right Time To Add An HR Department?